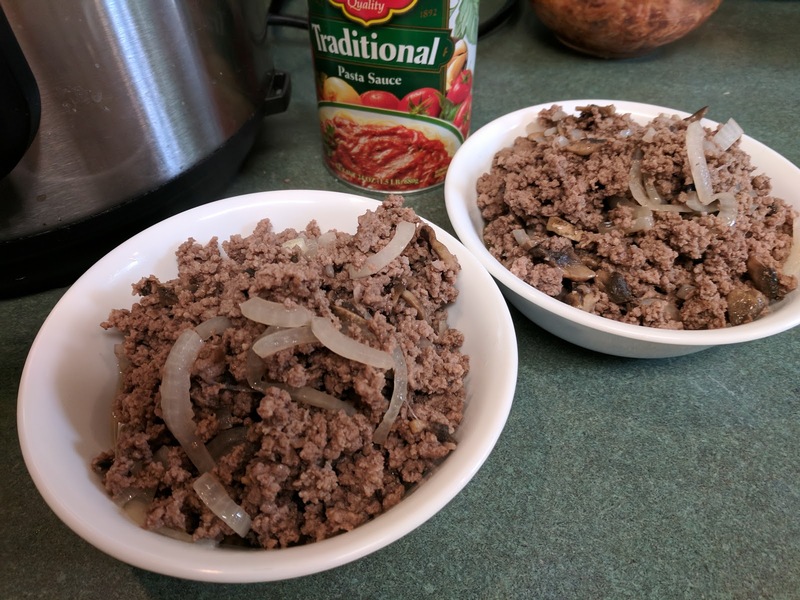 This week in "Friday in the Kitchen" I'll be sharing my afternoon of cooking up a few meals all at once to save me time in the kitchen the rest of the week. Last Sunday afternoon I had a little extra time and decided to make a few meals up at the same time. This has been great to have this week and I hope to be able to do it again. I picked simple and easy to put together meals. 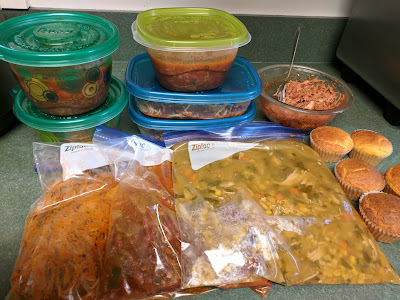 I wanted enough for us to eat at home and enough to pack my husbands meals for the following work week. I used my Instant Pot for these meals because it makes cooking much quicker. 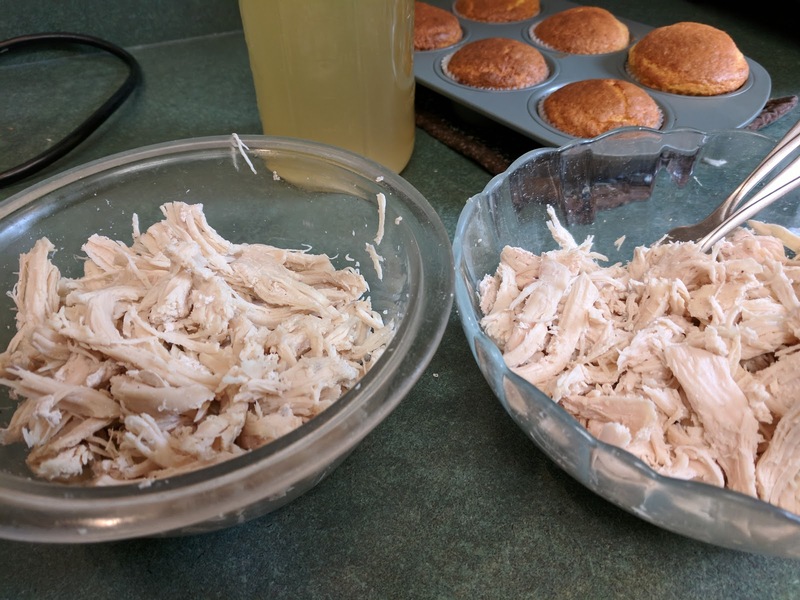 I started by cooking 2#'s of chicken breast in my IP. 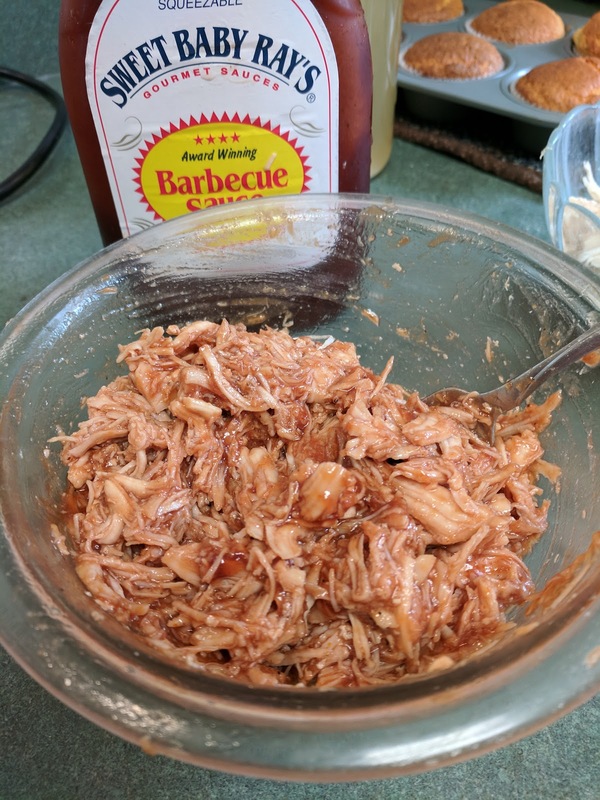 When that was finished I divided the meat into two bowls and shredded up the chicken. I strained the liquids left in the IP to use in my chicken soup. While the chicken was cooking I made a small batch of cornbread muffins to go with our soup. I added BBQ sauce to the shredded chicken and we ate this on hamburger buns with coleslaw.. The next things I did was wash out my IP and cook 2#'s of hamburger. I added some onions, sliced mushrooms, salt, pepper, and garlic to the meat. When that was done I divided it into two bowls. 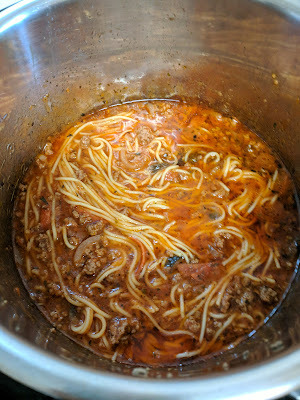 I used 1# to make spaghetti. And the 2nd to make chili. 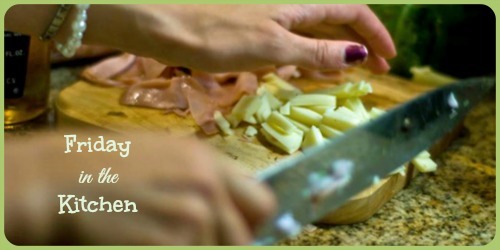 I loosely followed THIS recipe. 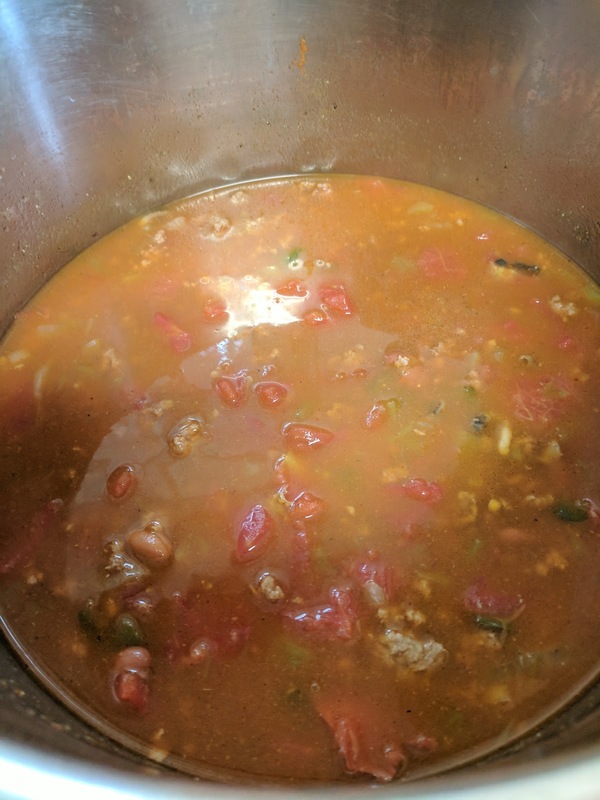 The only changes I made to was to use less water, I used 1 cup not the 1 ½ cups she calls for and I used a can of diced tomatoes instead of fresh. I then washed out the IP and made the chicken soup. I did not follow a recipe for this. I just did my own thing. 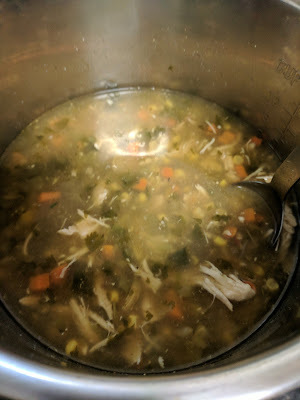 :) I put the cooked chicken and broth into the IP and added a diced onion, 2 peeled and chopped up carrots, 1 cut up jalapeno pepper, a small amount of chopped fresh cilantro, and one can of corn (I did not drain it). I added a 7oz can of green chili salsa, and salted to taste. I cooked the soup for 12 minutes on "Manual" and did an instant release. It was a bit spicy, but we like spicy so it was all good. 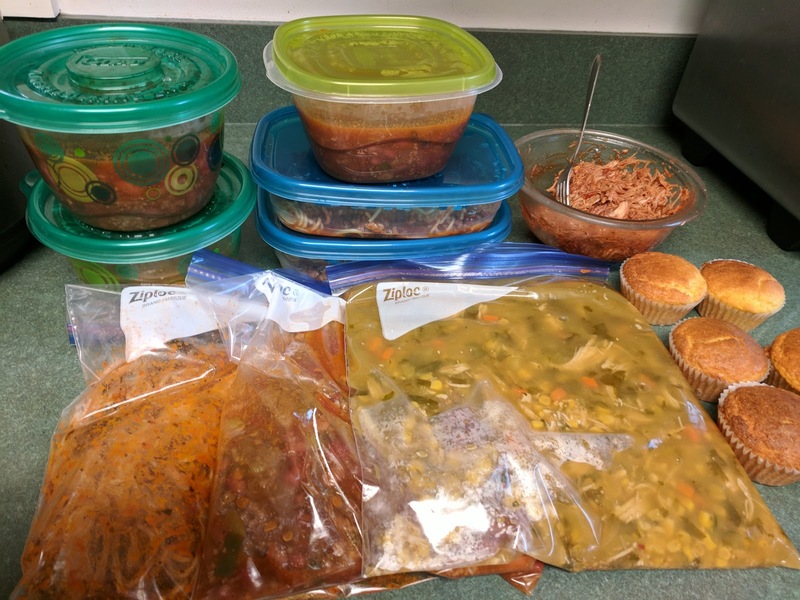 I divided all the food into containers and ziplock bags to be able to put it in the freezer. Then cleaned up my kitchen mess and stood back and admired my handiwork! :) It was a good feeling to have it all done and this week I've been reaping the rewards for my efforts. Great cook ahead planning. I'll bet it seems strange to cook in such small quantities after cooking for ten for so many years. who's been reading your writing since the stone age of blogs!